We are a leading Manufacturer of oil metering injector, metering injectors and take off metering injectors from Thane, India. We are offering our clients a comprehensive range of Oil Metering Injector that are highly acknowledged for longer shelf life and excellent quality. Manufactured using high-grade raw material, these injectors are designed in order to meet the diverging demands of the customers. 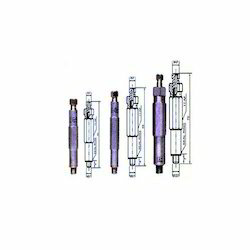 Further, these injectors are extensively used for ejecting metered amount of oil into the lubrication points. In addition to this, these injectors are availed to the customers in various dosages from 2 drops (0.05 cc) to 50 drops (1.6cc). We are providing an exclusive range of Metering Injectors which is extensively used for ejecting metered amount of oil into the lubrication pints. Available in various dosages from 2 drops (0.05 cc) to 50 drops (1.6 cc), single metering injector is used for one lubrication point. In addition to this, we provide these products in customized form in order to meet the requirements of the clients. 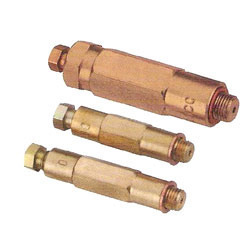 We are one of the coveted firms engaged in offering a quality assured range of Take Off Metering Injectors that are widely used in ejecting metered amount of oil to the lubrication points. A single metering injector is basically required for one lubrication point. 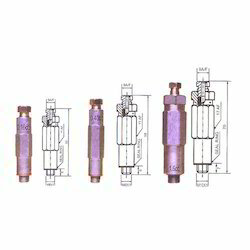 Further, these injectors operate according to the pressure build in the lubrication line. In addition to this, these injectors easily get recharged for the next cycle as the pressure in the lubrication line drops when the pump is turned off. Apart from this, we also facilitate in providing customized solutions as per the demands of the customers. Looking for Metering Injectors ?